Legal steps have been initated in six cases. 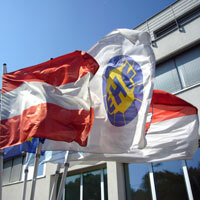 The EHF Arbitration Tribunal is currently appointing the tribunal members. The European Handball Federation has committed itself to take all allegations of undue influence attempts with the utmost seriousness. After the first allegations have been disclosed by international media, the EHF has stepped into action in a number of ways, including internal investigations in the matter. The EHF has researched the matter by sending out questionnaires to all referees and delegates active in the past four seasons of EHF competitions. The EHF has analysed the situation based on the answers for these questionnaires and based on information provided upon individual requests. The President of the EHF Arbitration Tribunal is currently appointing the tribunal members to deal with all of these cases. At the same time, the parties involved will be requested to submit their statements with their observations related to the games in question. The investigation into these cases aims to clarify both the possible circumstances of any manipulation attempt and the advantage taken from it on a sports level. The EHF will ensure open communication on the legal process and the findings of the EHF Arbitration Tribunal will be published as soon as they are available.